Patrick Jeremy created a redesigned version of Disney's classic Beauty & the Beast for Swell Productions at the State Opera Studio. Updated to the Belle Époque and designed entirely in sepia and shadows with animated silhouettes, the production retold this French fairy-tale with some of the darkness that is at its core, and less of the saccharine façade that is inevitable in a Disney work. Setting the production in the Belle Époque (rather than the 1700s) gives greater sense to more modern references in the Disney libretto, and emphasises the French setting, during an era that witnessed the construction of the Eiffel Tower and the heyday of the Moulin Rouge. And it puts the heroine Belle in the era of Marie Curie, who at that time was pursuing an academic life and not openly accepted by the otherwise male scientific community. 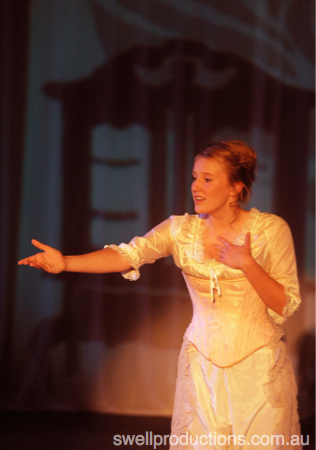 This is the individualism that Belle craves, not to be Madame Gaston, but her own woman. It makes perfect sense then, that a young woman from Paris who relocates to a country town is seen as odd for her independence and obsessive reading. 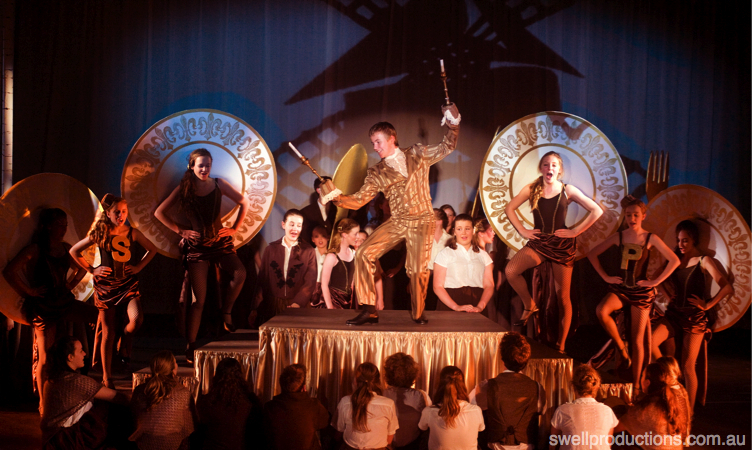 This production featured a cast of the most outstanding young musical theatre talent. 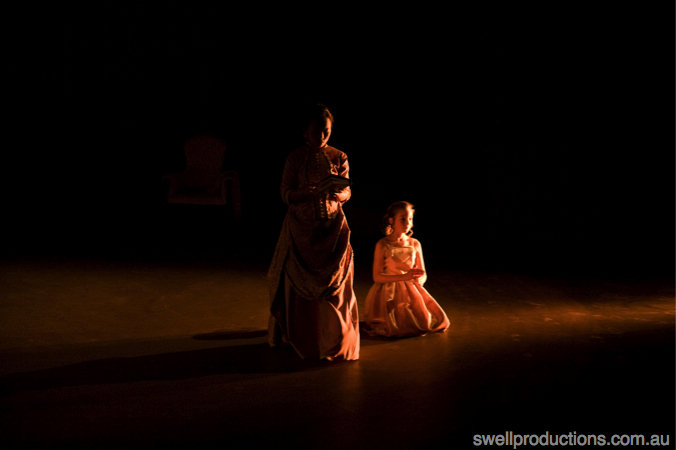 Connect with Swell Productions on social media to stay up-to-date with future projects for young performers.